New York, NY (August 23, 2017) – The Lymphoma Research Foundation (LRF) – the nation’s largest non-profit organization devoted exclusively to funding innovative lymphoma research and serving the lymphoma community through a comprehensive series of education programs, outreach initiatives and patient services – today announced its annual global Light it Red for Lymphoma awareness initiative. 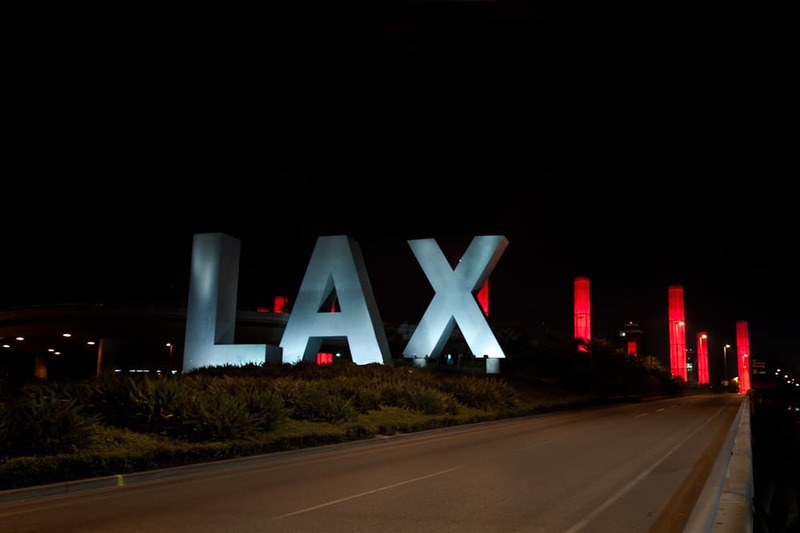 Since 2011, the Foundation has led the charge for the lymphoma community during September, recognized each year by the United States Congress as national Blood Cancer Awareness Month (BCAM), with Light it Red for Lymphoma by partnering with national and international landmarks, communities, and individuals to raise funds and awareness for the disease. Capped by World Lymphoma Awareness Day (WALD) on Sept. 15, Light it Red for Lymphoma is designed to garner awareness and provide hope to those touched by this disease by encouraging not only buildings, landmarks and businesses to light red, but also individuals to wear red and support BCAM on social media throughout the month of September. In addition to the Light it Red for Lymphoma initiative, this year, the Lymphoma Research Foundation will further seek to raise funds and awareness during Blood Cancer Awareness Month by hosting a series of patient education events, active lifestyle events including the Annual Lymphoma Research Ride in Barnesville, Md. on Sept. 24, and ticketed events such as the 2017 Annual Gala on Sept. 27 in New York, N.Y., all in support of LRF’s mission. In direct partnership with the Lymphoma Research Foundation, more than 100 national and international buildings and landmarks will participate in this year’s Light it Red for Lymphoma initiative, including international partners Taipei 101 in Taipei, Taiwan; Bell Tower in Perth, Australia; CN Tower in Ontario, Canada; National Concert Hall in Dublin, Ireland; national partners One World Trade in New York, N.Y.; Los Angeles International Airport (LAX) in Los Angeles, Calif.; Willis Tower in Chicago, Ill.; TD Center in Boston, Mass. ; and many more. For a full list of committed Lighting Partners, please visit lymphoma.org/LightItRed. Light it Red for Lymphoma will also coincide with and highlight our Erase Lymphoma on Campus initiative, which we have expanded to half a dozen Big Ten schools this fall. We will update you all on the date and time of the chat, so you may participate and spread the word. In addition to the awareness that LRF hopes to generate through these high-visibility shows of support, the Foundation is also encouraging businesses, and individuals to get involved in the Light it Red for Lymphoma initiative in their own businesses, homes, local communities and online. 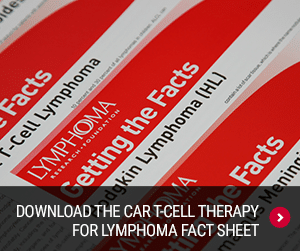 This year’s initiative also marks a new partnership with the Annals of Lymphoma (AOL), an open-access, international peer-reviewed electronic journal with worldwide distribution that publishes articles around key findings in basic and translational science, and clinical research relating to human lymphoma. Lastly, in conjunction with BCAM, the Lymphoma Research Foundation will launch a Team LRF employee engagement fundraising campaign which encourages the sale of special “Team LRF” lapel pins with the proceeds benefiting the Foundation. 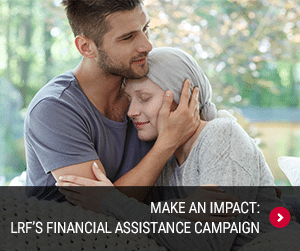 Businesses interested in participating in the Foundation’s Team LRF lapel pin campaign can email teamlrf@lymphoma.org. For more information on Light it Red for Lymphoma and how to get involved, please visit lymphoma.org/LightItRed. To learn more about becoming a Light it Red for Lymphoma sponsor, lighting partner or community partner, please contact Kinya Harte, Associate Director of Communications, at either 646-465-9123 or kharte@lymphoma.org.